The coolest thing for today! 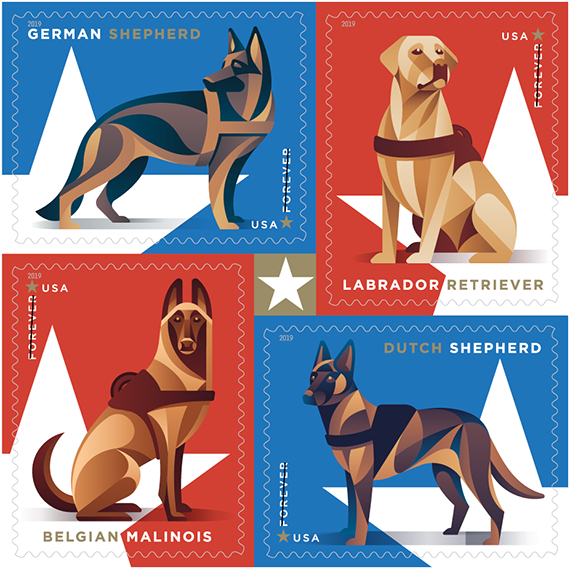 Recently, the American Postal Service (USPS) has issued a new collection of stamps in the honour of military dogs. The collection features the breeds most popular in the armed forces, German Shepherd, Labrador Retriever, Malinois and Dutch Shepherd. Hats off!